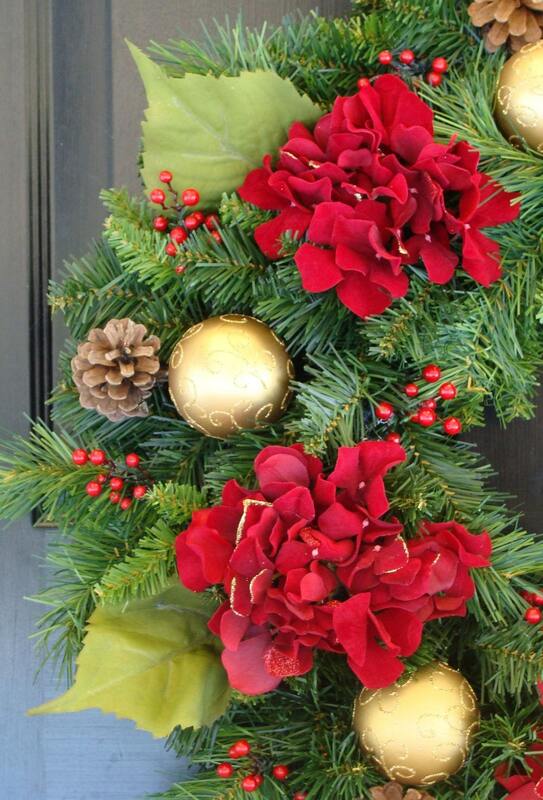 This holiday hydrangea and gold ornament Christmas wreath will be a stunning addition to your decor. 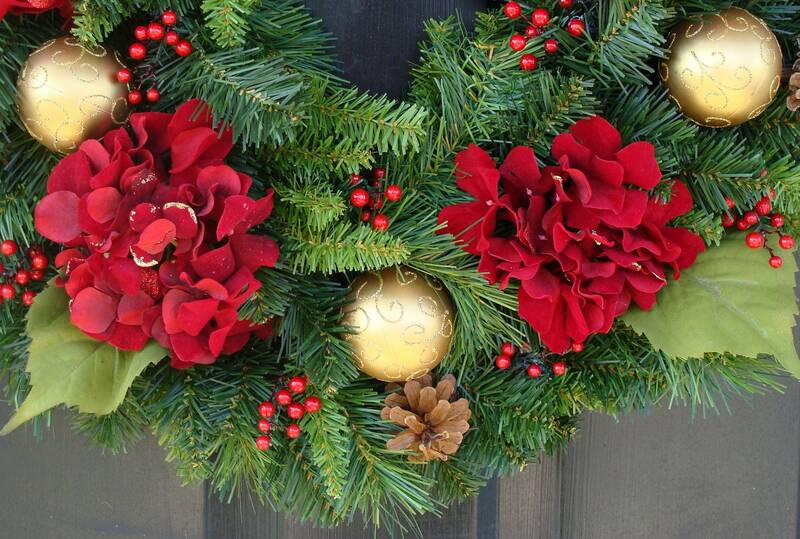 Full, lush and colorful, this wreath is decorated with 5 large hydrangeas and beatiful gold ornaments. 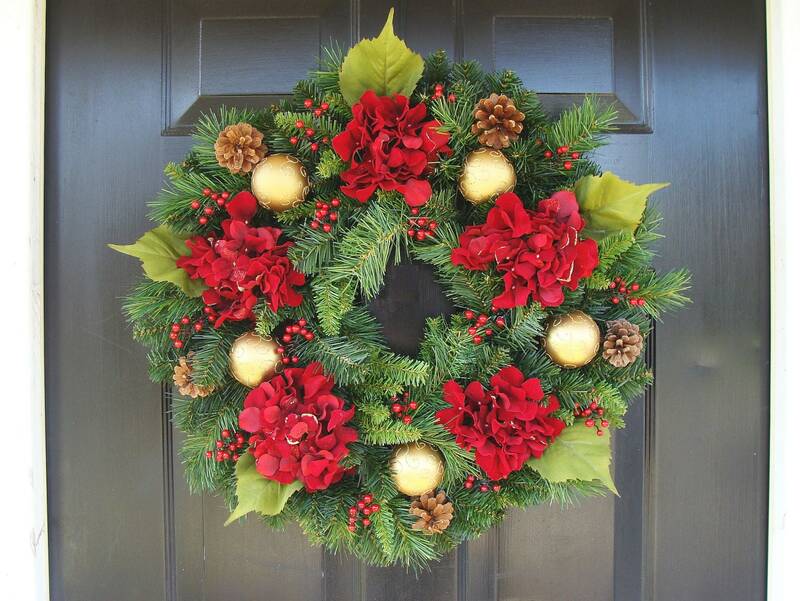 Accented with weather resistant berries and pine cones, this wreath will weather well year after year. 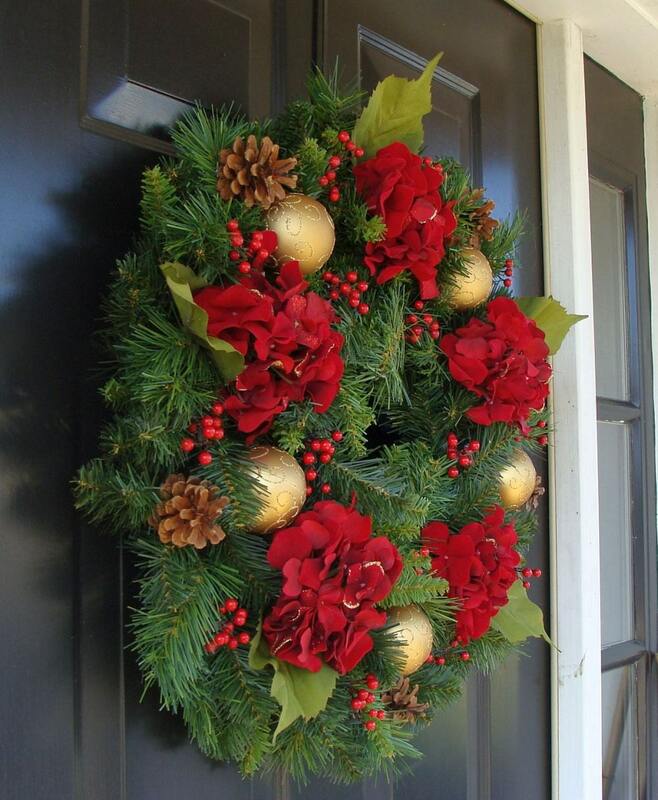 Measuring 20 inches and 5 inches thick this wreath will complete your holiday decor. Second one I bought this year! Very pretty and classy!! Gorgeous and just as pictured. Beautiful addition to our holiday decorations! 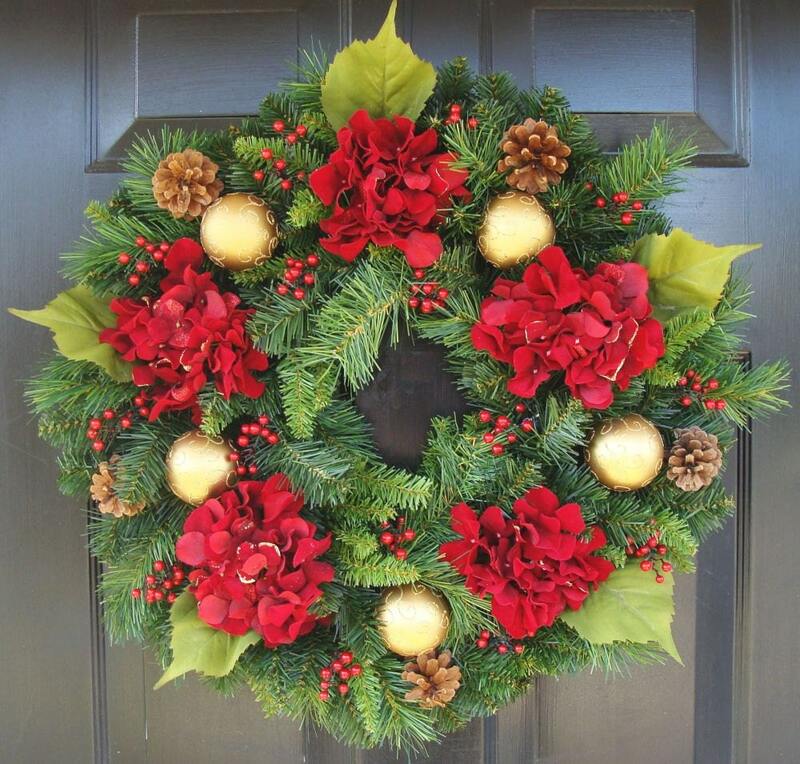 I was so pleased when the wreath arrived. I have received a lot of compliments on it. It arrived quickly and was packed so well, there was no damage. Very impressed with product and seller. The company was really easy to deal with and answered all of questions in a timely manner. The wreath looks exactly like pictures and is beautiful! I would buy from them again!